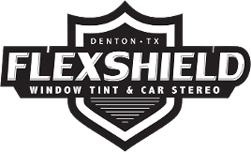 This gallery demonstrates, not only our craftsmanship, but the versatility of our window tint in Denton, TX. Contact us, today, at 940.220.6777 to learn more about how our auto, residential, and commercial window tinting can increase your security and safety while improving energy efficiency. To see examples of our vehicle customization and truck accessories in Denton, TX, check out our vehicle customization gallery.